The many bacterial transcription regulation proteins which bind DNA through a 'helix-turn-helix' motif can be classified into subfamilies on the basis of sequence similarities. 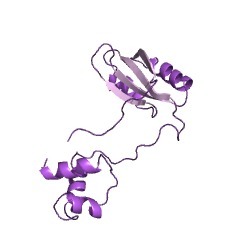 One such family is the AsnC/Lrp subfamily [(PUBMED:7770911)]. 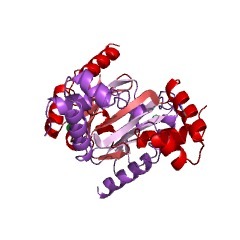 The Lrp family of transcriptional regulators appears to be widely distributed among bacteria and archaea, as an important regulatory system of the amino acid metabolism and related processes [(PUBMED:12675791)]. 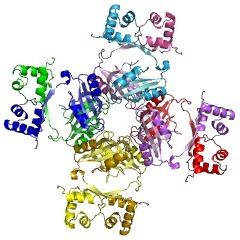 Members of the Lrp family are small DNA-binding proteins with molecular masses of around 15 kDa. 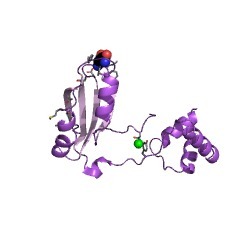 Target promoters often contain a number of binding sites that typically lack obvious inverted repeat elements, and to which binding is usually co-operative. 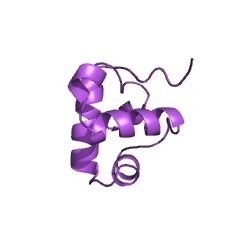 LrpA from Pyrococcus furiosus is the first Lrp-like protein to date of which a three-dimensional structure has been solved. 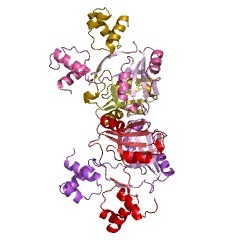 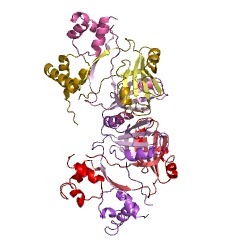 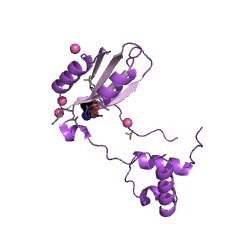 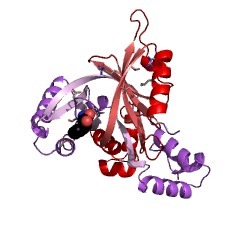 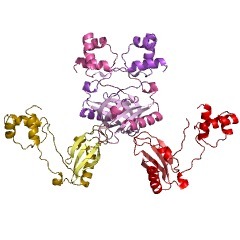 In the crystal structure LrpA forms an octamer consisting of four dimers. 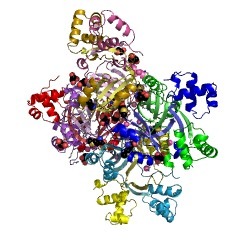 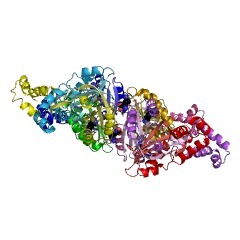 The structure revealed that the N-terminal part of the protein consists of a helix-turn-helix (HTH) domain, a fold generally involved in DNA binding. 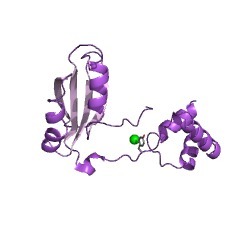 The C terminus of Lrp-like proteins has a beta-fold, where the two alpha-helices are located at one side of the four-stranded antiparallel beta-sheet. 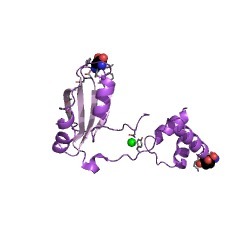 LrpA forms a homodimer mainly through interactions between the beta-strands of this C-terminal domain, and an octamer through further interactions between the second alpha-helix and fourth beta-strand of the motif. 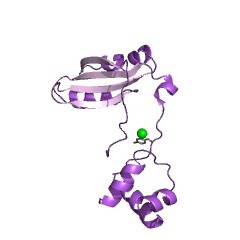 Hence, the C-terminal domain of Lrp-like proteins appears to be involved in ligand-response and activation [(PUBMED:12675791)]. 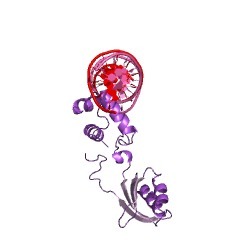 There are 72894 HTH_ASNC domains in 70987 proteins in SMART's nrdb database. 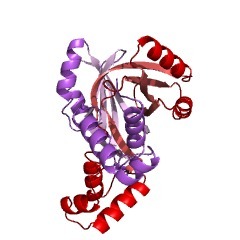 Taxonomic distribution of proteins containing HTH_ASNC domain. This tree includes only several representative species. 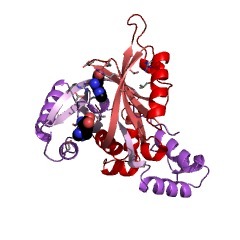 The complete taxonomic breakdown of all proteins with HTH_ASNC domain is also avaliable. 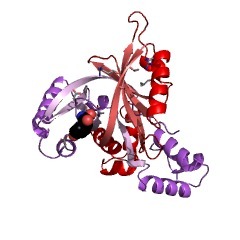 Click on the protein counts, or double click on taxonomic names to display all proteins containing HTH_ASNC domain in the selected taxonomic class. 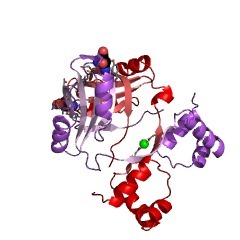 The eubacterial transcriptional activator Lrp is present in the archaeon Pyrococcus furiosus. 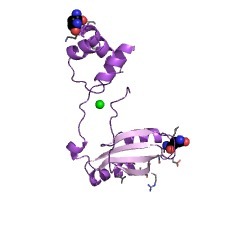 Characterization of Lrp, and Escherichia coli regulatory protein that mediates a global response to leucine. 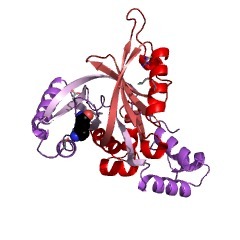 Exogenous leucine affects the expression of a number of different operons in Escherichia coli. For at least some of these operons, the leucine-related effect is mediated by a protein called Lrp (Leucine-responsive regulatory protein). 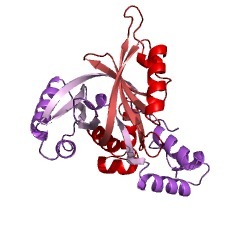 The purification of Lrp to near homogeneity is described. 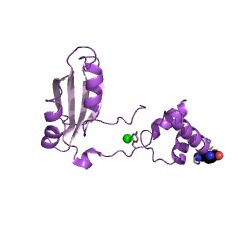 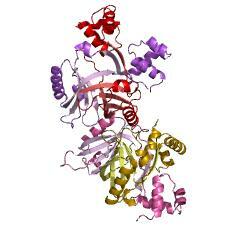 Lrp is a moderately abundant, basic protein composed of two subunits of molecular mass 18.8 kDa each. 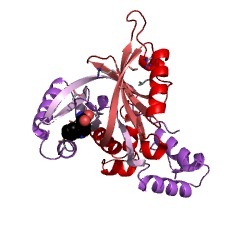 In addition, the corresponding protein was purified from a strain having a mutation within the gene that encodes Lrp (lrp). 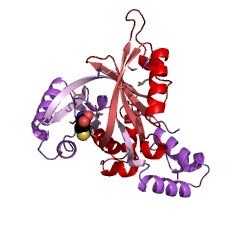 This mutation (lrp-1) causes high constitutive expression of ilvIH, one of the operons controlled by Lrp (Platko, J. V., Willins, D.A., and Calvo, J.M. (1990) J. Bacteriol. 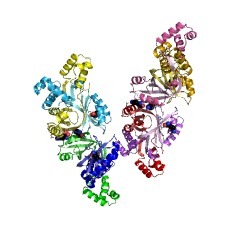 172, 4563-4570). 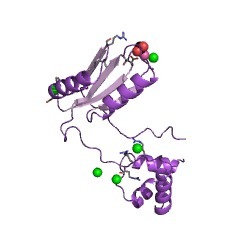 The Lrp-1 and Lrp proteins have similar physical properties, but they show some differences in the characteristics with which they bind DNA upstream of the ilvIH promoter. 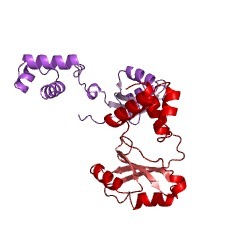 The nucleotide sequences of the lrp and lrp-1 genes differ by only a single nucleotide, a C to G change that would substitute a Glu for an Asp at amino acid 114. Lrp has some amino acid sequence similarity to AsnC, a protein that regulates asnA expression (Kolling, R., and Lother, H. (1985) J. Bacteriol. 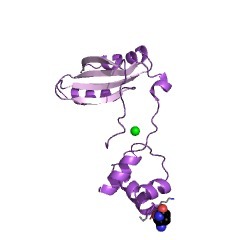 164, 310-315).